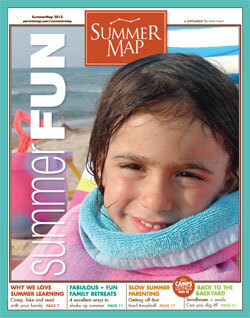 Every experienced parent knows that the map to a great summer is a solid plan. This year's SummerMap issue packs plenty of fun for all ages, with great ideas on unique family travel and expert tips for keeping kids learning while school's out. Also not to be missed: We've got the secret sauce to a laid-back, old-fashioned summer slowdown. Don't forget the sunscreen! Four Ideas for Unusual Family Getaways, from farms to house swaps.